i thought it would be fun to kick off the season with a game themed late lunch. 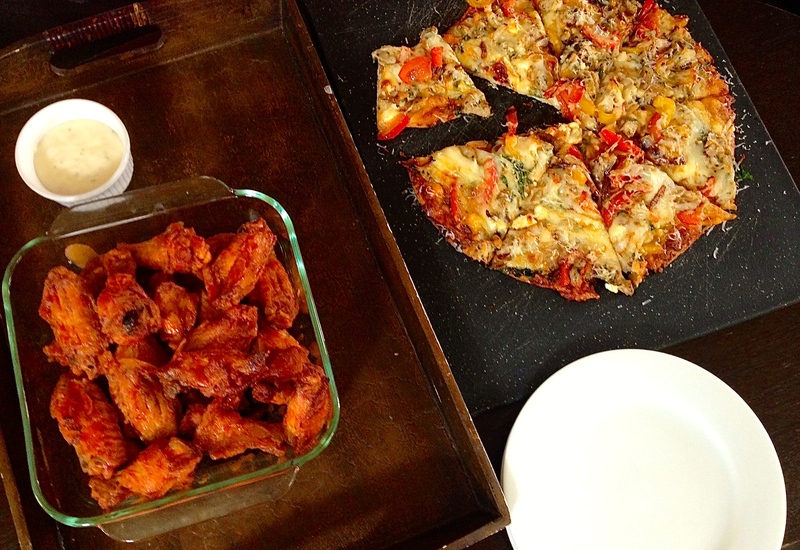 i know what i said yesterday about diving off the edge of my cleanse into a vat of pub grub, but pizza and wings just seemed appropriate for the occasion, so that’s what was on the menu for Falcons vs. Saints. both the food and our team were winners! just heated up some wings from Publix and added a little extra Crystal. seriously, not much can go wrong here and why mess with a good thing? straight-up blue cheese dressing on the side. nobody needs celery. nobody. for the pizza, though, i resisted just picking up a frozen one and doctoring. i concepted and cooked the whole thing from scratch. well, i mean, as scratch as i get. store bought extra thin crust (honestly don’t remember brand and it probably doesn’t matter. it wasn’t a Boboli, but choose whatever you like.) added a thin layer of red sauce. again, use whatever you like, but i went with Publix Pizza Sauce. the toppings are where it got interesting. Publix (yeah, again) does a chicken, feta and spinach sausage. that was pretty much the whole inspiration. i cooked that up and diced it, then scattered it on top, along with spinach and sautéed red and yellow peppers and onions. i threw on some feta crumbles and mozzarella and baked the whole thing for about 15 minutes. final touch was extra grated parmesan. 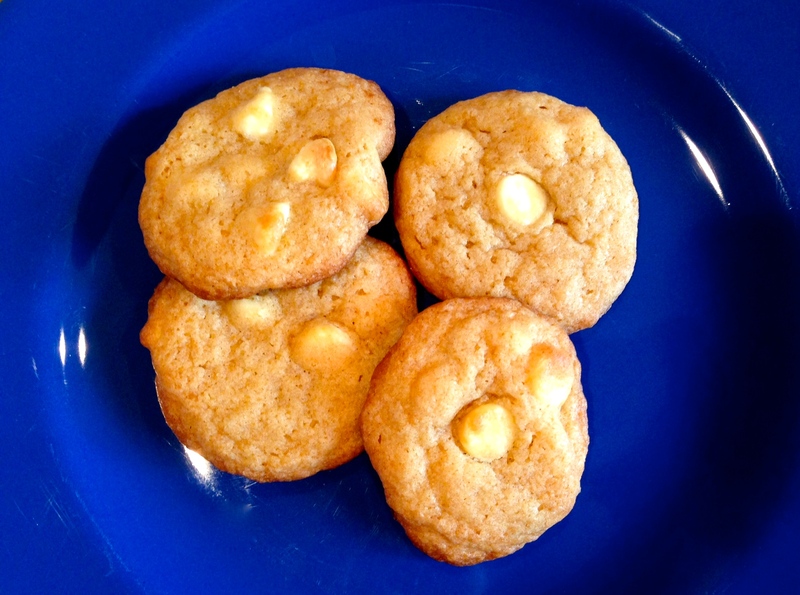 and, because Miss Girl has been dying to bake cookies, we spent a good part of the first quarter cheffing up some white chocolate chip cookies. i actually prefer this recipe to Toll House if i can remember to make it. the cookies don’t flatten out quite as much and are a little chewier and softer. subbed in white chips for milk and it worked just great. yum! two of my favorite things about fall wrapped into one Sunday afternoon. so much fun! Previous Post the cleanse: fin!